in a scarf pulled from my mother’s dresser. propped up against a box of fashion magazines. like a storm of languages without a tongue. The sight engulfs me, unpledged. The coastline shadowed–no words, no light. draped in a scarf pulled from my mother’s dresser. 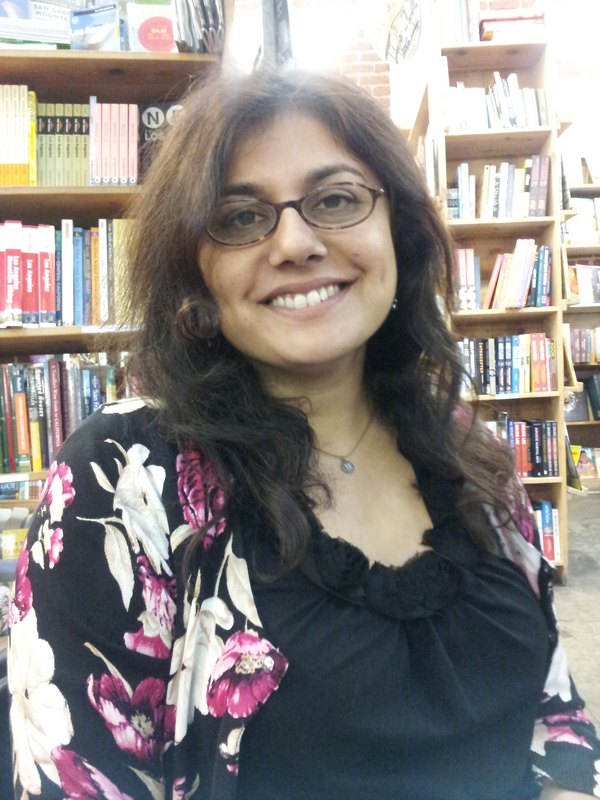 Mehnaz Sahibzada is a 2009 PEN USA Emerging Voices Fellow in Poetry. Her chapbook, Tongue-Tied: A Memoir in Poems, was published by Finishing Line press. She lives in Sherman Oaks. “Apa’s Painting” previously appeared in the Journal of Pakistan.